Need space? Here is a place for the horses, collector cars, and/or recreational vehicles. 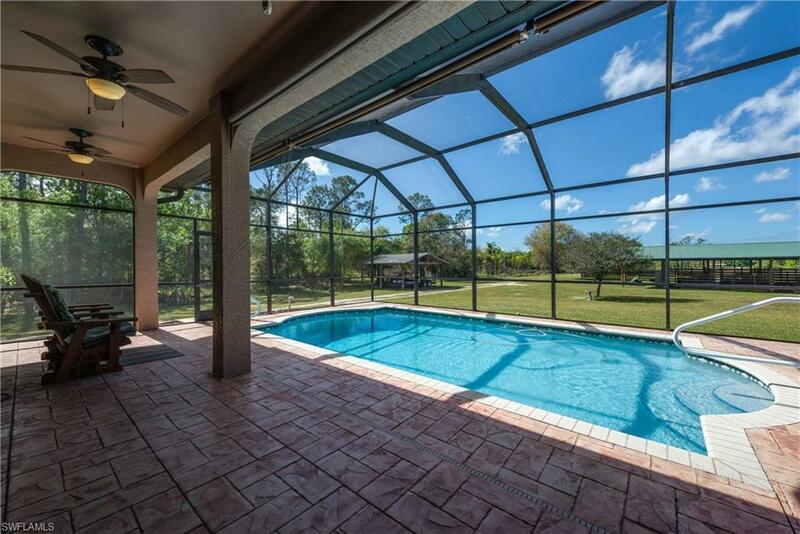 Custom built Pool home on 5 acres with 30x80 warehouse building & office, 6 stall barn and detached 24x24 carport. 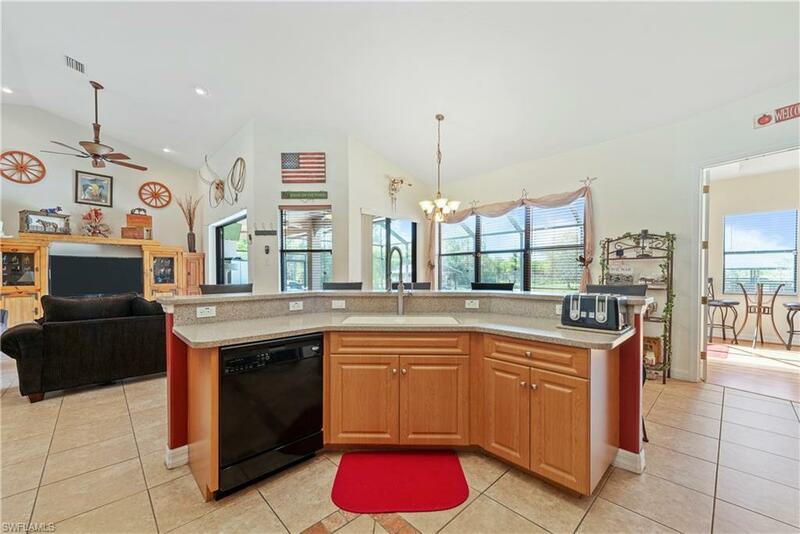 Home features open kitchen floorplan with island and solid surface counter tops. Sliders lead out from great room area to the pool deck. 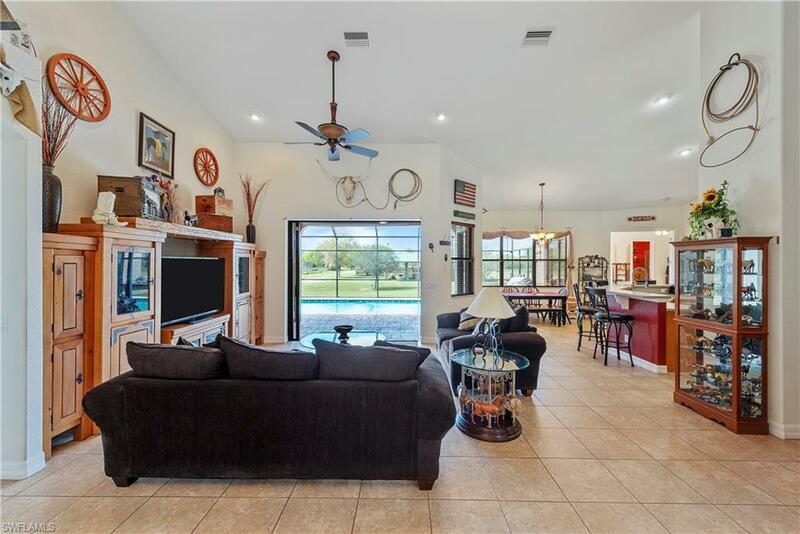 16 Cathedral ceilings in main living area. Floor plan also offers a game room with an attached pool bathroom and office. Oversized laundry room with built in storage. Tile in main living areas, master bedroom has wood floor. Metal roof on home and outbuildings. Stamped concrete driveway and electric gate opener. Horse barn is set up with 6 stalls, electric, fans, water and a carport on the end for RV with 50 amp plug in. The 30x80 warehouse also has an air conditioned 10x20 office with security, 3 garage doors are 16x10 tall, 1 garage door is 10 wide by 12 tall. There are 240 outlets for welding, air compressor, air hose and electric reels throughout and a 9k car lift. Quick access via paved roads to I-75 and Bayshore Rd. 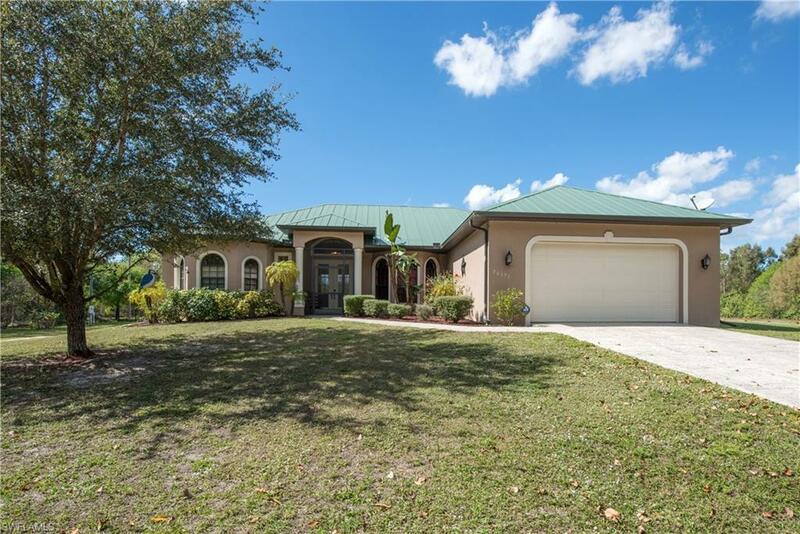 Listing courtesy of Darla Mcintosh of Berkshire Hathaway Florida.